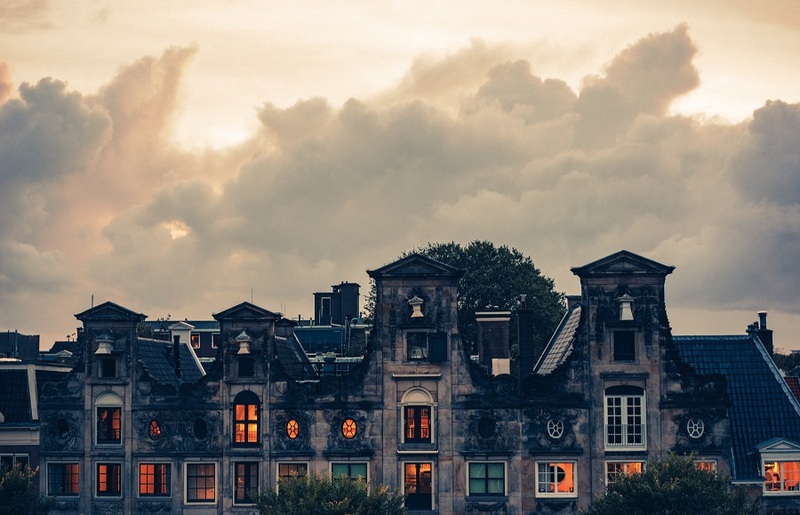 Eager to explore Amsterdam’s unique spirit? 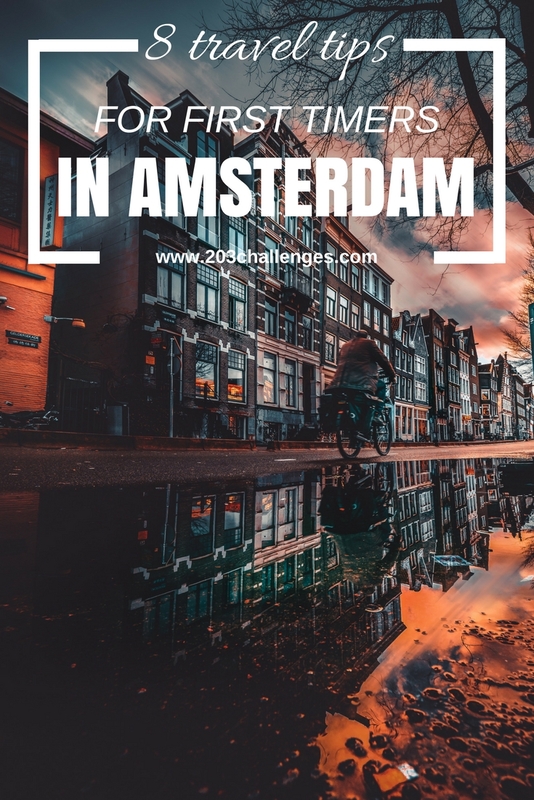 Feel it on your two-wheel urban tour around the city’s narrow streets, or soak up some sun while sailing in the iconic canals encompassing the city. From traditionally Dutch architecture to cutting-edge design and bustling nightlife, Amsterdam is a place to remember. Don’t miss on Dutch street food like frites (fries that are typically served with mayo) and kibbeling (deeply fried cod that is usually dipped in fresh garlic sauce). Find it on food stalls and carts that are spread all over the city. Some of the best fries I have tasted in my life were bought from a street stall in the city center and covered with a rich and creamy cheese sauce. Speaking of cheese, Dutch gauda is excellent and you can try some varieties for free on big markets like Albert Cuyp Market and Saturday’s Farmer’s Market. My personal favorites are the ones stuffed with fresh green pesto and filling walnuts. Sweet lovers should definitely have a bite of the typically Dutch stroopwafels (a delightful waffle made of two sheets of baked dough and caramel in the middle). Combine it with a cup of strong black coffee or hot tea for a perfect taste of melting caramel. Guided boat tours of the canals are a good way to experience Amsterdam’s quirky side. Changing the perspective will help you see the city in a different light while learning a bunch of historical facts. Most boats pass by famous sites like Anne Frank’s House, the Skinny Bridge, and the Hermitage Museum. There are many types of canal cruises – from one-hour options to practical hop-on-hop-off tours and romantic evening boat trips for couples. Some of the most popular boat operators include Blue Boat, Lovers, and Stromma. Tip: For a free ride, hop aboard the ferry behind the Centraal Station. The famous Dutch coffeeshops are not serving coffee but cannabis. It`s completely legal to enter and browse through the menu that is offering different types of weed. But look for a green-and-white sign on the door, which proves that the place is certified. When choosing cannabis, ask for recommendations because some varieties can be much stronger than others. 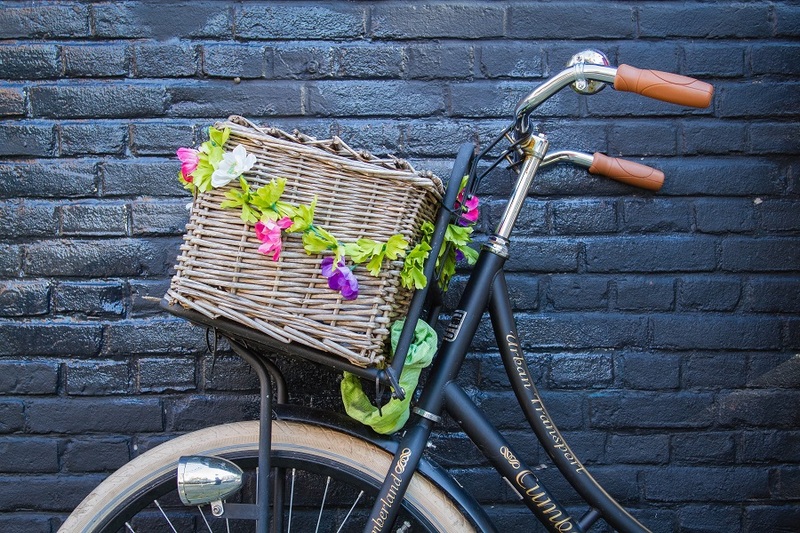 Cycling in the Netherlands is much more than a means of transportation. The locals worship their bikes that are used to commute to work, carry groceries or meet a friend for a drink. Never walk on bike lanes as you can easily be hit by an impatient cyclist. As a person who has lived and studied in the Netherlands, I was riding a bike literally everywhere. I can assure you that my least favorite thing was careless pedestrians walking on the bike lanes. Dutch cyclists are always in a hurry and can get exceptionally rude. To avoid scolding and accidents, watch your feet and avoid the bike lanes. Amsterdam`s city center is quite compact, so the best way to explore it is either on foot or on two wheels. As you already know, biking in the Netherlands is an adventure of its own but it is also the most authentic way to discover the city. 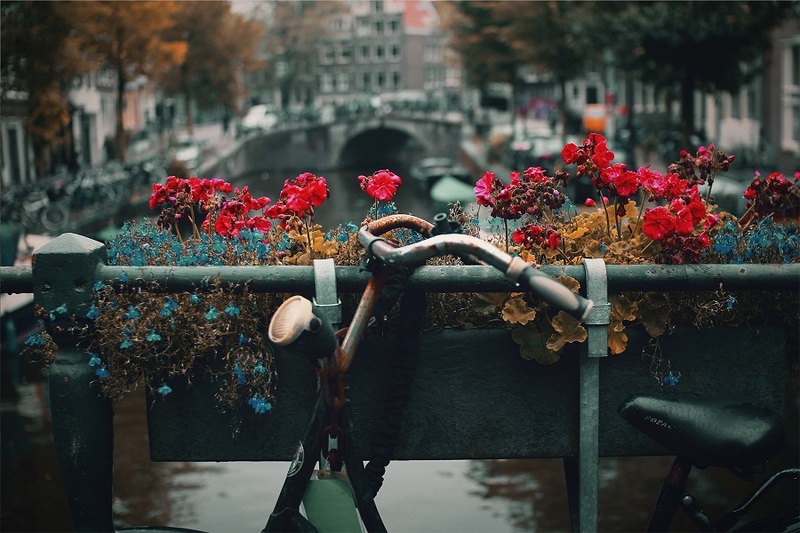 Bike rentals can be found on most central locations– near the Centraal Station, Vondelpark, Leidsplein, and more. Check out bike rental companies like Yellow Bike, Bike4U, and A-Bike Rental. Most of them are offering guided tours or customized bikes to rent on your own. And why not hopping on the luggage rack of a Dutch cyclist? It’s a bit like Couchsurfing, on a bike, but more fun and without the smelly socks in your living room. If you are using the public transport, be sure to purchase an OV-chipkaart. It is valid for all kinds of transportation and will save you lots of money. The cards are refillable and can be bought from the Central Station, as well as almost all tram and bus stations, and tourist offices. Go online to plan your journeys using the Dutch Public Transport Data that is also available in English. One thing I learned while living in the Netherlands is that it’s raining all the time. And sometimes you get some heavy wind as a bonus. Therefore, be sure to pack some warm clothes, rain-resistant shoes and an extra pair of socks. Even if you are visiting in summer, don’t forget to take with you a reliable raincoat. King’s Day is a national holiday marking the birth of King Willem-Alexander and celebrated on April 27. This is the time when both locals and international visitors are up to some wild parties, concerts, and various outdoor activities. Wearing orange clothing, dying their hairs in orange and consuming some orange-colored alcoholic drinks, people are celebrating on streets, squares, and even on boats in the canals. The party is as crazy as it can get in the Netherlands, so it’s a shame to miss it. But keep in mind that Amsterdam gets heavily packed in that period. There are almost 1 million visitors coming for the celebrations, so it might be difficult to move around and go sightseeing during the day. Also, note that the city center is closed to cars and public transportation. Hungry for more adventures? Become a bag and purse expert by visiting the Tassen Museum of Bags and Purses in Amsterdam. Or go off the beaten track and travel to the picturesque village with no streets – Giethoorn. A passionate writer, journalist, and explorer, Yoana Hristova (www.yoanahristova.com) has worked and studied in Bulgaria, the Netherlands, Denmark, and Norway. Currently based in Bulgaria, she is always on the lookout for great stories that inspire us to travel, grow and discover what life has to offer.